Introduction Niseko Central is the leading supplier of premier and luxury accommodation in Niseko-Hirafu Alpine Resort, Hokkaido, Japan. Niseko-Hirafu is the fastest growing international alpine resort with most international guests coming from Australia, Hong Kong, Singapore and the UK. We combine hard work with great fun to give our staff a unique experience and lifestyle, unlike anywhere else in the world. 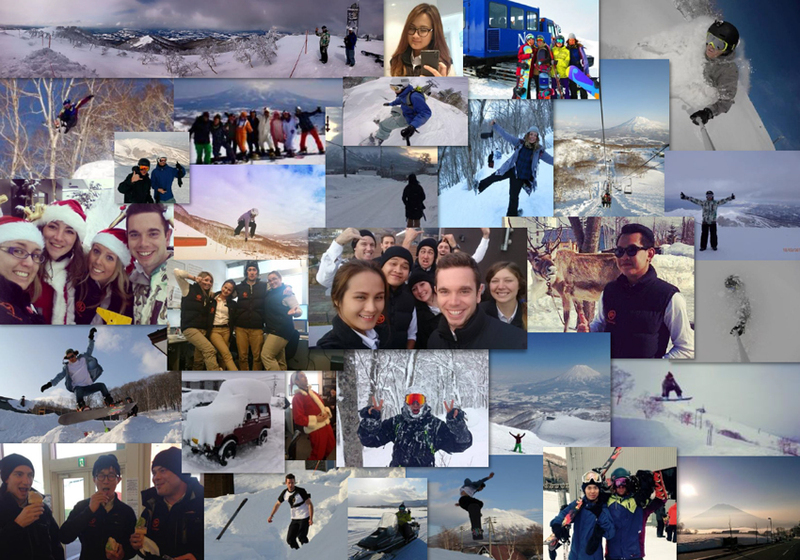 • We start our staff with training to give you all you need to know about working for Niseko Central! Job Benefits Accommodation – being arranged this summer! • Each of our accommodations is subsidized to bring you housing at an affordable price! • Most companies will give staff access to shared Grand Hirafu passes, these are usually kept at work so it may stop you getting first lifts on powder days! Shared passes also cannot be upgraded to All Mountain passes (unless everyone sharing the pass agrees to it). Working for Niseko Central means your pass can live in your snowboard jacket and gives you the opportunity to pay to upgrade your pass to cover All Mountain at cost! • To keep everything fair, for those of you who don't want a lift pass you will be offered instead a ¥20,000 payment to offset the subsidization those taking lift passes receive.